Compute sensitivity, specificity, accuracy and KS statistics to generate the lift chart and the KS chart. 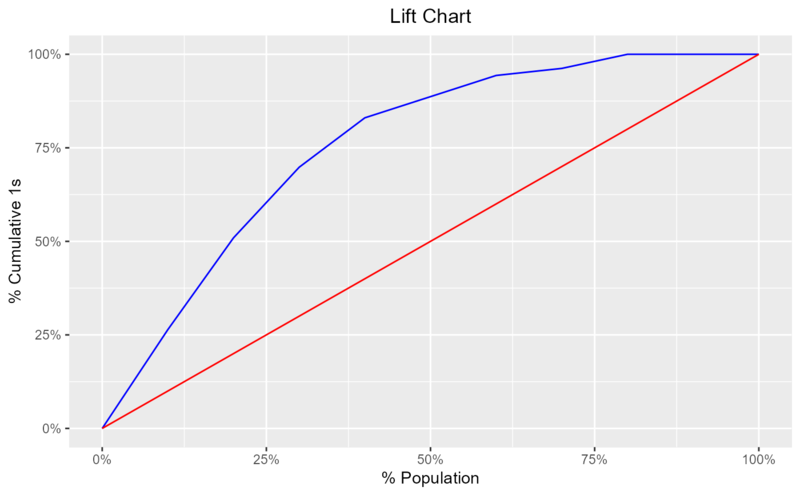 Color of the lift curve. Horizontal justification on the plot title. Agresti, A. (2013), Categorical Data Analysis, Third Edition, New York: John Wiley & Sons. Thomas LC (2009): Consumer Credit Models: Pricing, Profit, and Portfolio. Oxford, Oxford Uni-versity Press. Sobehart J, Keenan S, Stein R (2000): Benchmarking Quantitative Default Risk Models: A Validation Methodology, Moody’s Investors Service.